After several months’ hard working, molecule team brings you an easy way to use Homebrew on your PS Vita – HENkaku. HENkaku will only work with system firmware 3.60 on PS Vita. HENkaku allows you install homebrew as bubbles in LiveArea of your PS Vita. It is a native hack that disables the filesystem sandbox. It installs molecularShell, a fork of VitaShell that lets you access the memory card over FTP and install homebrew packages. What are the features of HENkaku? 1. Supports all current Playstation Vita devices (fat, slim, TV) with system firmware 3.60(ONLY). 2. Install homebrew through FW 3.60 PS Vita’s Web browser, no any other game software and PC program needed. 3. Enable to run homebrews and emulators. 4. Not supports Vita “backups”, warez, any pirated content or any DRM features. 5. Supports any Rejuvenate compatible Homebrew. Memory card with at least 10MB of free space. Tips：①Update your PS Vita to 3.60 if you want to use HENkaku. And never never update your Vita past 3.60 if you want to keep using HENkaku in the future. If you do update, all your installed homebrew will no longer work and you cannot install any homebrew in the future. ②You must run the installer each time you power off your device fully and reboot it. ③The first time you install HENkaku, the molecularShell bubble will be added to your LiveArea. This allows you to install other homebrew bubbles. 5. Once done, the browser will be closed automatically. Then you can install homebrew. 1. The homebrew package you wish to install should be a file with the .vpk extension. 2. Make sure Wifi is enabled and you are connected to the same network as the host computer. 3. Open “shell” by launching the bubble. 4. Press SELECT to start a FTP server. Please note that the FTP server is not password protected. Only run it on a trusted local network. 5. Note the IP address displayed in a message popup. 6. Open your FTP client on the host computer and connect to that IP address. 7. Navigate to “ux0” (this is the root of your memory card) and you can upload the .vpk package here or in any subdirectory. 8. Once you upload all the packages you wish to install you can disconnect the client. 9. Back in molecularShell, press CIRCLE to stop the FTP server. 10. Navigate to “ux0:” and then to where you placed the packages. To install, select the package and press X. A: You must run the HENkaku installer again. Follow the directions above. A: This is normal. Just wait for it, eventually it should load the page and trigger the exploit. A: Press “OK” and try again. If the browser crashes more than three times in a row, you can quit the browser (Press the PS button and swipe the LiveArea page from the top right corner or hold the “O” or “X” button depending on your region). Then you can re-attempt installation. A: Press “OK” and try again. If this happens more than three times in a row, you should reboot the system and try again. A: The installation has failed. Make sure you have a memory card inserted with at least 10MB of free space. If the device froze, hold the power button for 15 seconds to manually power off the device and then press the power button again to restart the device. You can then attempt to install again. You need a memory card inserted even when using HENkaku with devices that come with built in memory, such as PS Vita Slim and PS TV. A: That is the expected behavior. HENkaku should now be installed. You can launch homebrew applications including molecularShell (see usage directions below). A: Press the home/PS button and close the browser manually. Installation should be successful. A: Check if you have a firewall on the host computer. Also make sure you’re on the same network as the host. Recently there is new rumor about nintendo new console NX. Many sources confirmed that it will be a handheld console with detachable controllers. Eurogamer reported this news and here some information about the NX rumor. 1. There will be two controller attacted to the screen on either side. These controllers an be attached or detached as required. 2. NX can be connected to your TV and allows games on big screen. You can use controllers to play games on your TV. 3. Nx will use Nvidia’s powerful Tegra mobile processor. 3. NX might use 32GB game cartridges. 4. Because of radical change in hardware design and internal technology, there might be no backwards compatibility with NX. 5. NX might run on a new system. 6. NX might be compatible with its smartphone games. We can not say all this information are true until nintendo official team announces the details of NX. Many users are excited and curious about NX and it might be released on March next year. Great news. PlayStation Team open a Beta Trial for PlayStation 4 System Software 4.0 and announce this news in this official site. Many players are really excited about it as if they are selected to test the beta, they will experience some of the improvements and new features of PS4 V4.0 in advance. If you want to join this beta, you need to register to be a beta tester anytime before the start of the beta in early August.If you are selected, you will receive an email with beta instruction. During the beta, tested can discuss the new features and problem with other testers. How to install FBI(For CIA files) on your 3DS ? 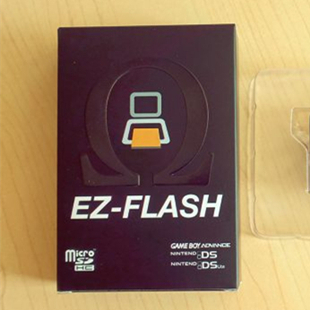 All we know that user needs to have a 3ds flashcart or geniune cartridge to play game on 3DS. As one geniune cartridge contains one 3ds game which means you can only play one 3ds game with one cartridge. 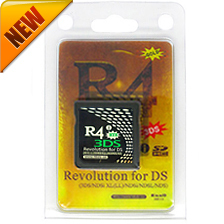 While one 3ds flashcart is necessary and it can support unlimited 3ds game with one cart. If you do not have or can not afford a gateway 3ds or sky3ds+, you can install FBI to install and play CIA games. 1. Download FBI.zip and extract the folder. Copy the FBI folder to the 3ds folder on your 3DS SD card. 2. Copy the fbi.cia file in extracted folder to the root of your 3DS SD card. 3. Insert your SD card into your 3DS and turn on your 3DS. Access to homebrew launcher and there will be FBI icon. Run FBI and follow the screen instruction to install it. 5. If you want to install CIA files or games, just copy .cia file to the root of your 3DS SD card. Note: it will spend some time to install large .cia files. It is normal to take 20-30 monutes to install it. Two popular 3ds games were released in Japan for Nintendo 3DS on July 16,2016 – Yo-Kai Watch 3: Sushi/Yo-Kai Watch 3: Tempura. They are the latest games of Yo-Kai series. Many players are interested in playing these two games. For sky3ds+ users, it is glad to tell you that you can play Yo-Kai Watch 3: Sushi and Yo-Kai Watch 3: Tempura with your sky3ds+ card. We download rom of Yo-Kai Watch 3: Sushi from reliable site. As the rom is over 4GB, we need to trim the rom with this tutorial. After trimming, place the trimmed rom your microSD. 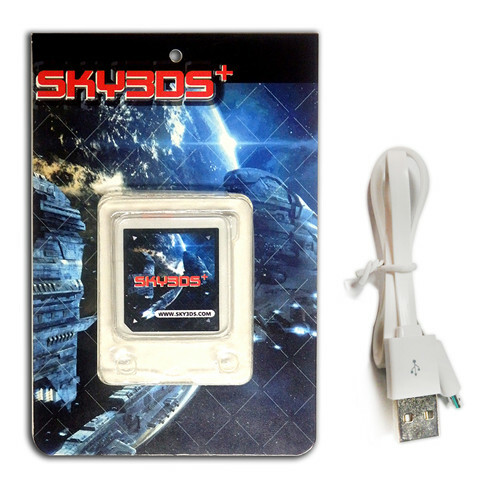 Insert microSD to sky3ds+ and insert sky3ds+ to 3DSv11.0.0-33. Start 3DS and icon of Yo-Kai Watch 3: Sushi appears. Select it and press A button to play this game. Similarly, sky3ds+ can also support Yo-Kai Watch 3: Tempura without issue. Nintendo will release a new game console. But it is not NX, but a new mini NES Classic Edition. It is pre-installed 30 classic games and ideal for anyone who remembers playing the NES. It will launch in this November for $59.99. You can connect the NES Classic Edition to TV or other HDMI ports via HDMI cable. There is a NES Classic Controller equipped which works with NES Virtual Console games on your Wii or Wii U console. Additional NES Classic Controller accessories is Just $9.99 each. You can use your original NES carts with the console. There is a new feature with this console-back up, which means you can save your game.